Now and days everyone has a car and they are an absolute necessity for the working man or woman. Unfortunately vehicles are not perfect and will break down or get in accidents, that's why the need for towing service in Tempe AZ is in such High demand. Every day thousands of working people commute to and from work. During these travels, especially with the hot Arizona heat, cars break down. We realize that have vehicle towing service available is a necessity to keep the working class moving along plus to clear traffic and keep everyone safe. We take our vehicle towing services seriously and we know how to to vehicles like no one else. ​We service and tow all makes and type of cars from BMW, Mercedes, Porsche, Honda, Toyota, Kia, Ford, Ram and all other major vehicle makers. We have the right tow truck and workers to tackle any Towing job in Tempe AZ or anywhere in the Eastern Arizona Valley! So many things can go wrong when driving which is the frustrating part about owning a motor vehicle. Well when it comes to rescuing you with a tow, don't you worry. We offer very prompt and professional car towing to help you when your stuck and need it most. Sometimes people get in accidents and sometimes the cars just don't start. We get it. Cars are not perfect vehicles. But we offer perfect service to get you on your way and try to make the situation a little bit better for you. The reason we are excellent at towing cars as well is all our Towing Contractors have been towing vehicles for over 10 years. We know how to hook up an tow any type of vehicle in any type of situation. Trust us as your dependable towing experts to get the job done right. We have dispatch available to answer your towing distress calls 24 hours a day 7 days a week. We are one of the very few towing companies that offers are services every single day of the year. We are committed to helping you get out of any bind and make things right. We love residents and guests of Tempe and want to make sure they are all taken care of for any emergency car towing needs. So save our number and call us whenever you need emergency help or service. As stated on our main page, we offer the largest and most reliable fleet of tow trucks in all of Tempe AZ including Gilbert, Mesa, Chandler, Guadalupe and every town in the eastern Arizona valley. We offer flat bed tow trucks that are also very good at protecting your vehicles from any damage during the towing process as well. So make sure you contact us and only us in Tempe Arizona or elsewhere to reduce your chances of having your vehicle get damaged by someone else towing it. 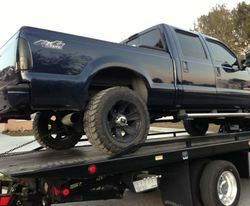 We are experts at towing all types of cars, trucks and motorcycles. We also specialize in towing new cars and antique cars as well. So if your looking for a antique car tow or towing of a collectors car, make sure you contact Tow Tempe to handle your valuable car. We know how to transports your vehicles safely and effectively to their destinations!